​We have a birthday present for those born in August: the stunning spinel has been added to your month’s birthstone lineup! 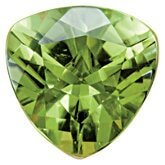 August now joins June and December as the only months represented by three gems.The original birthstone for August was Sardonyx, and then peridot was added, becoming August’s primary gem. Now spinel adds its multitude of color choices! 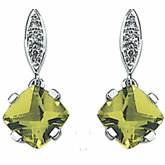 ​Peridot jewelry dates back as far as the second millennium BC. These ancient Egyptian gems came from deposits on a small volcanic island in the Red Sea called Topazios, now known as St. John’s Island or Zabargad. ​The spinel is often assumed to be other gemstones because it tends to resemble either a ruby or sapphire. In fact, some of the most famous rubies in history have turned out to be spinel. But its distinguishing features, like its octahedral crystal structure and single refraction, are what sets it apart from other gems. Spinel also has a lower Mohs hardness than ruby and sapphire. 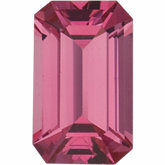 When shopping for spinel, a good quality stone should have no visible inclusions. The more inclusions, the less valuable the stone. Spinel can be found in various cuts, like octagons, trillions, squares, rounds and fancy shapes, like ovals, pears, and cushions.